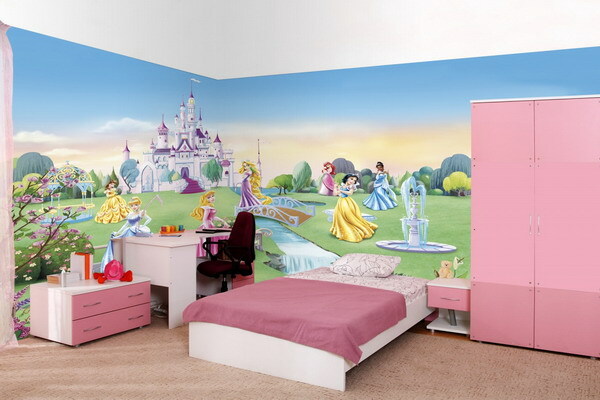 It can be challenging to come up with fabulous little girl bedroom ideas. While there may be a million things, colors and objects you personally love, there’s a correct way to place them in your little girl’s room and enjoy the serenity of a cohesive design. Update your baby’s nursery into a style that shows off how much she’s growing up with these smart kids bedroom ideas. You’re a supermom capable of multitasking, so why wouldn’t your furniture be as versatile as you are? When it comes to little girl bedroom ideas, find pieces that work as a bed, closet, desk, chair. Anything goes. Save up some space with closets that can be turned into desks with a simple twist. Let your baby girl have a say in her room’s decor. If she’s in love with Disney princesses then find a theme that showcases her interests. Pink, purple, quotes, crochet, stars, hearts and tiaras will be part of the decoration. There’s a lot of beautiful items you can buy on Etsy or Amazon, and you can also do beautiful pieces yourselves. Just go to Pinterest for inspiration! If your child is in tune with her animal pacifist, then focus on finding bedding that includes her favorite animals. 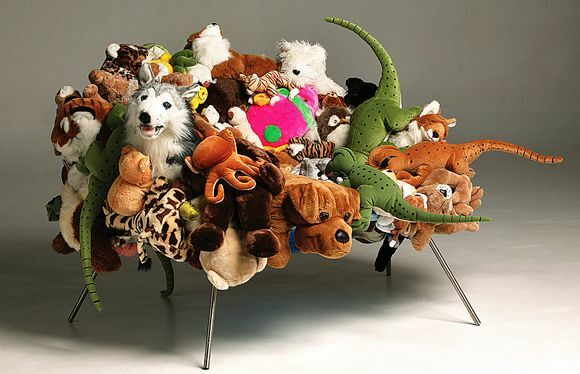 You can even upcycle an old sofa and wrap it in old Beanie Babies, or used stuffed animals you can buy as a lot on Ebay, sew them together, and cover the entire small sofa with it. It will be visually appealing and comfortable for your child! If you want to turn her room into a creative view of the ocean and its beautiful creatures, you need to choose a palette that showcases pale light blues, mint greens and deep turquoise colors. Sea shells, fluffy ottomans, and white bubbles must be found around the room. The drapes would be your opportunity to show off your child’s love for the deep blue ocean. For an even more creative twist, hang a fishnet on a corner and fill it up with toys, whales, fluffy sea creatures and decorative corals. You had one when you were a kid, and now she is in love with the prettiest doll in the world. 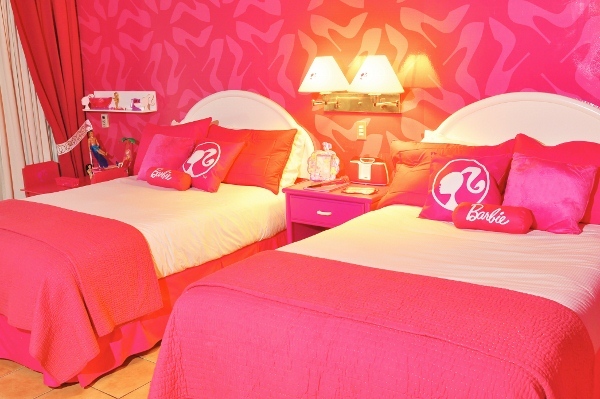 The ultimate little girl bedroom ideas include a pink and fuchsia toned wallpaper, with vinyl stickers of brushes, stars, hearts, tennis rackets, lipsticks and Barbie silhouettes on the ceiling. Pair it with fluffy pink cushions. The bedding must be stellar. Showcase her dolls in an accessible way, so storing them away also works as a decoration. Find a Barbie night lamp and voila! Life in pink, in a blink!